Home / News & Events / Campaign News / Spirit Award Nominations are OPEN! 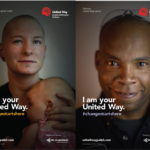 Does your United Way workplace campaign rock? Does it feature an event that stands out for extraordinary creativity? Does it encourage others to step-up and get involved? How far will your co-workers go to help people in our community change their lives for the better? If you think your co-workers have what it takes to inspire others in our community to get involved and make a difference, your workplace may be eligible for a United Way Spirit Award! Our nominations committee will select three workplaces in each division (Manufacturing, Education, Public Sector and Business & Finance), with the winners to be announced at United Way’s Campaign Closing & Celebration event on December 16th.